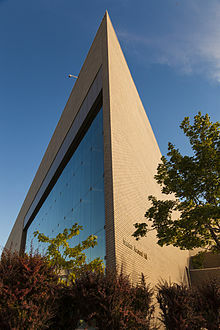 The Utah Symphony is an American orchestra based in Salt Lake City, Utah. The orchestra's principal venue is Abravanel Hall. In addition to its Salt Lake City subscription concerts, the orchestra travels around the Intermountain West serving communities throughout Utah. The orchestra accompanies the Utah Opera in four productions per year at Salt Lake's Capitol Theatre. In addition, the Utah Symphony and Utah Opera have a summer residency at the Deer Valley Music Festival, located in Park City, Utah. The orchestra receives funding from the Utah State Legislature for educational concerts. The first attempt to create a symphony orchestra in the Utah area occurred in 1892, four years before Utah achieved statehood. The Salt Lake Symphony was created and presented just one concert before disbanding. In 1902, the Salt Lake Symphony Orchestra was formed, and it remained in existence until 1911. In 1913, the Salt Lake Philharmonic was formed, and it continued until 1925. During the Great Depression, the Federal Music Project (an employment-assistance program which formed part of Federal Project Number One, an arm of the Works Project Administration) hired Reginald Beales to create a musical group in Utah. He formed the Utah State Sinfonietta with a core of 5 members. That group grew rapidly and toured extensively, presenting concerts throughout Utah. By 1940, federal funding for arts projects had ceased, so local enthusiasts formed the Utah State Symphony Orchestra on April 4, 1940, with Fred E. Smith as president. They scheduled their first concert for May 8, 1940 and asked Hans Henriot to conduct it. The resulting concert was so successful that the group offered Henriot a contract to direct the orchestra. This ensemble grew to 52 part–time musicians. In 1947, Maurice Abravanel became the orchestra's music director. He built the ensemble into a full-time orchestra and developed its wider national reputation. He recorded and toured extensively with the orchestra. Under Abravanel, the orchestra first recorded with Vanguard Records and then with Vox Records. including complete symphony cycles of Mahler and of Tchaikovsky, as well as works by Varese, Milhaud, Gottschalk, Honegger and Satie. The Utah Symphony’s recordings of Mahler’s symphonies with Abravanel were the first complete cycle recorded by an American orchestra (Vanguard). Honors for Abravanel's Mahler recordings with the orchestra include the “Mahler Medal of Honor” from the Bruckner Society of America (1965) and the International Gustav Mahler Society award for “Best Mahler Recording” (Fifth Symphony, 1975). During Abravanel’s tenure, the Orchestra’s music education program grew into one of the most extensive arts education programs in the region. Educational concerts were given on orchestra tours across the Intermountain West and at home in the Salt Lake Valley. Abravanel concluded his tenure as music director in 1979. The Orchestra’s season grew to a year–round schedule by 1980. Successors to Abravanel included Varujan Kojian (1980-1983), Joseph Silverstein (1983-1998), and Keith Lockhart (1998-2009). Under Silverstein and Lockhart, the orchestra continued its commitment to contemporary American music. In July 2002, the governing boards of Utah Symphony and Utah Opera decided to consolidate both organizations, resulting in the formation of Utah Symphony | Utah Opera. At the time of the merger, it was one of only two merged symphony and opera companies in the United States. In September 2009, Thierry Fischer became the orchestra's music director. Contemporary works commissioned by the orchestra during Fischer's tenure have included EOS (Goddess of the Dawn) by Augusta Read Thomas and the percussion concerto Switch by Andrew Norman. Fischer is currently contracted with the Utah Symphony through the 2021-2022 season. In January 2009, the Orchestra named Gerald Steichen as its principal pops conductor. The current assistant conductor is Conner Gray Covington, appointed in September 2017. ^ Edward Reichel (2009-09-24). "Utah Symphony announces Lockhart replacement". Deseret News. Retrieved 2017-01-15. ^ Catherine Reese Newton (2015-11-06). "Review: Utah Symphony, percussionist Colin Currie flip the 'Switch' on an electrifying world premiere". Salt Lake Tribune. Retrieved 2017-01-15. ^ Sean P. Means (2017-05-24). "Fischer extends Utah Symphony contract through 2022". Salt Lake Tribune. Retrieved 2017-05-28. ^ Catherine Reese Newton (2009-01-23). "Symphony names pops boss". Salt Lake Tribune. Retrieved 2017-05-28. ^ "Conner Gray Covington announced as Utah Symphony's assistant conductor". Deseret News. February 10, 2017. This page was last edited on 11 July 2018, at 20:50 (UTC).